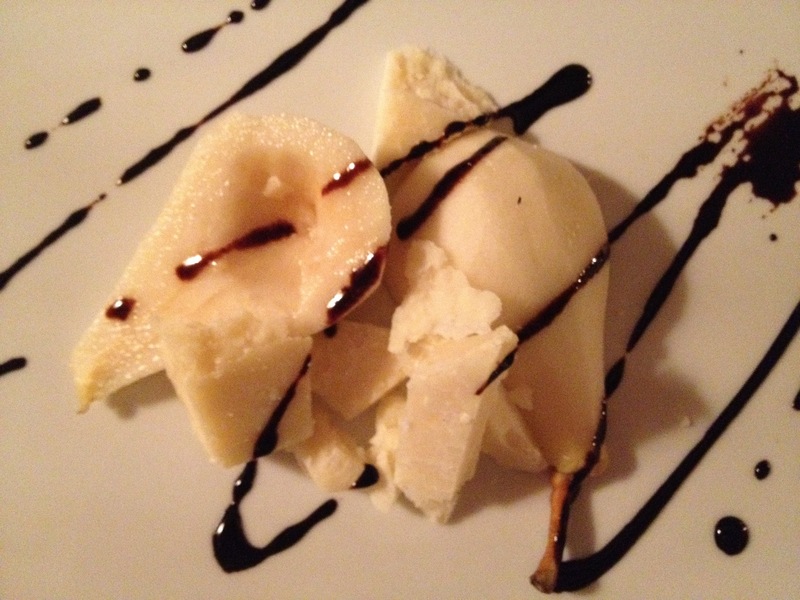 I just wanted to write a quick but flavor filled blog to continue our Italian culinary journey…. Another great meal from La Terrazza restaurant in Planegg Germany. 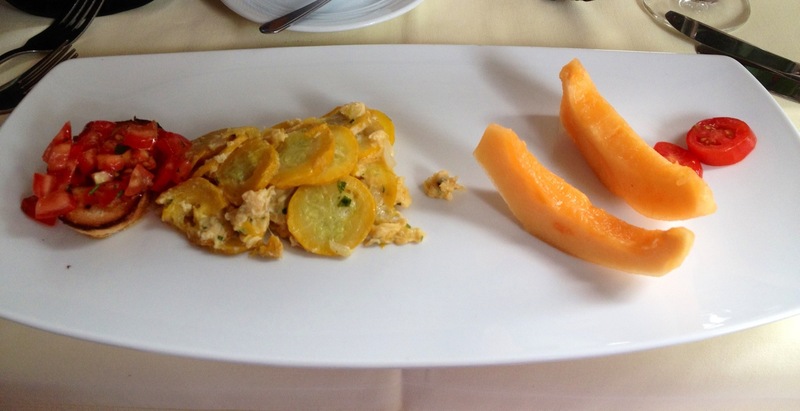 To start a primi of fresh melon, scrambled egg with yellow zucchini and a flavorful staple – bruschetta. Second up was penne with diced pears and a special gorgonzola cheese cream sauce . The flavors from this dish may sound odd but I absolutely promise you they worked on all levels. 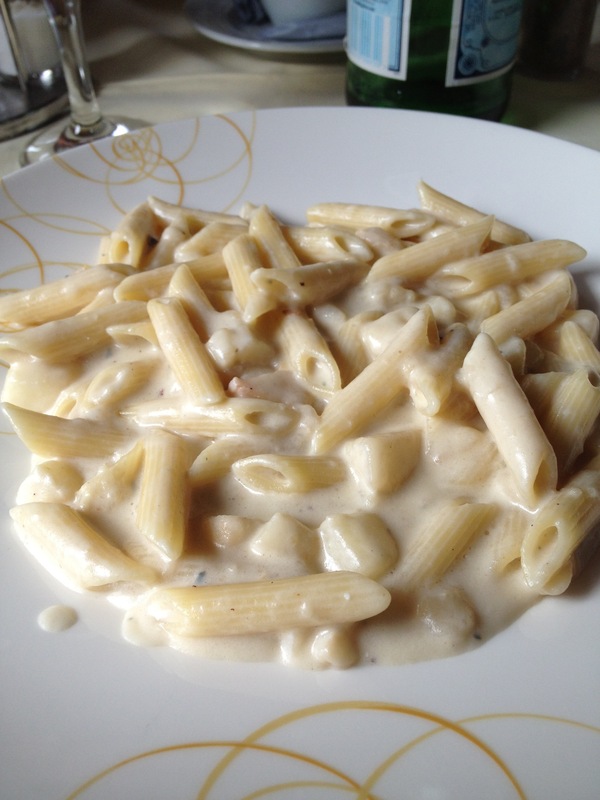 The silky blend of fresh cream and gorgonzola coated the pasta just right…. 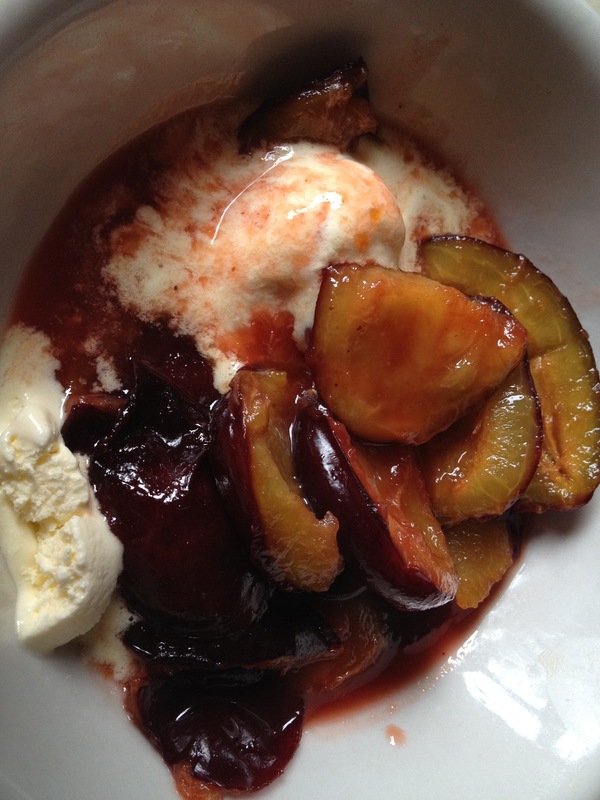 To finish, caramelized plums over vanilla gelato. Words won’t necessarily do anymore justice than the picture. Just taste the warm caramelized plums as they slowly melt the gelato…. Pure bliss. Posted on August 25, 2012, in Wanderlust - travel and tagged New flavors that work!. Bookmark the permalink. Leave a comment.